You are looking at an Austin Healey that we have known and serviced for many years. Much work has been done on this vehicle to make it a great reliable driver. All new wiring front to back using a hi quality cloth harness, all rebuilt suspension front and rear including all new busing and shocks, all new brakes and hydraulics including rebuilt calipers and new brake hoses. The engine runs excellent and has just been completely serviced and tuned. Including all new belts and hoses. The cooling system has also just all been gone threw and the car does not get warm. The carburetors were also just completely rebuilt. The engine starts first time and runs and idles excellent. The transmission shifts just like a Healey should and the overdrive does work. 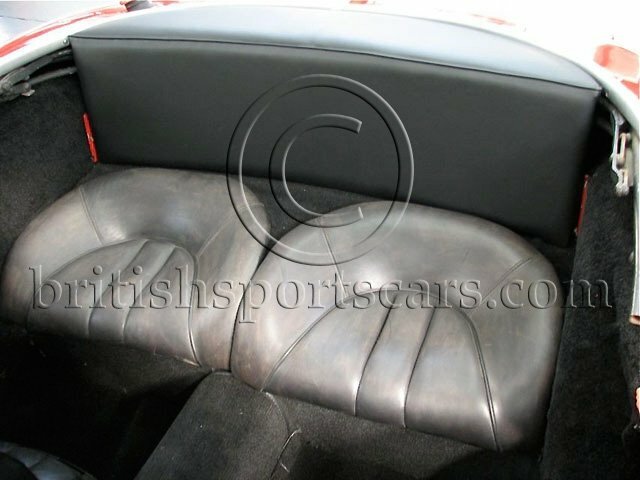 The interior is genuine leather and as you can see does show some wear. The seats are free of any tears. The carpets are all new and I took a photo of the floors with them removed so that you can see that there is no rust in the floors. The floors have been replaced as well as rust repair to the sills. There has also been rust repair in the trunk. All has been repaired and shows no signs of any rust issues. The top is also new and was just fitted. Side curtains are new and still in the box. The paint is very nice but is not perfect. There are a few small nicks and chips as well as several small scratches. This car will be a great driver/show car. If you are looking for a great Austin Healey to drive and enjoy then this is the perfect car for you.